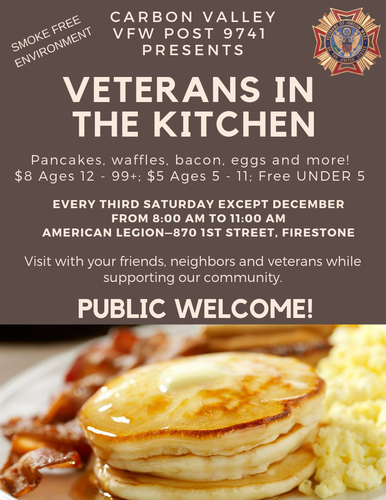 hosted by Vets in the Kitchen!! Micky Mouse and Star Wars Waffles too! Have a great breakfast, great fellowship, hang around with your friends, relax and support our local VFW Post 9741 in a family friendly, smoke free environment.